My mother always made my sisters and I wear saddle shoes when we were younger. We wore them for everything – home, church, school, play. I even had to wear them to gym class while the other kids had sneakers. At the time I was reluctant to wear them over and over again but as I’ve grown they have become nostalgic – a reminder of a magical childhood. I took these memories as inspiration for my Merrilee Fluevogs. 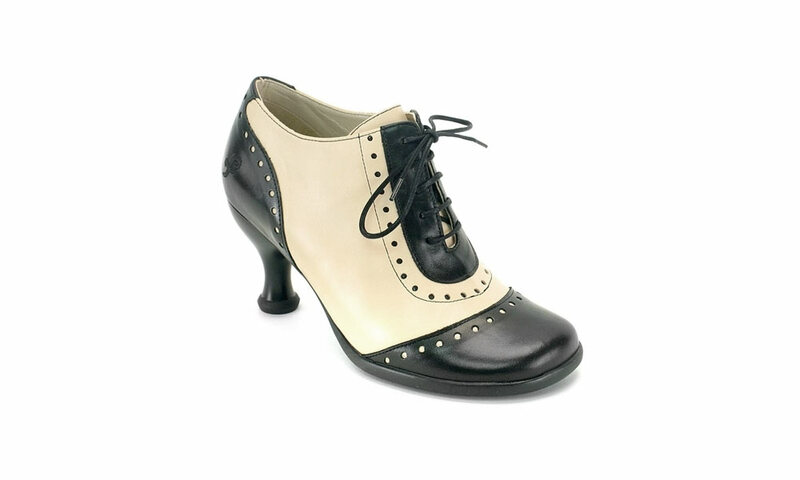 I wanted to create something that would be a modern, classy and feminine homage to my childhood worn out saddle shoes. Once I had the idea, the sketch came pretty quickly. It took me only a couple of days to put down on paper. The process has been so rewarding. I am a fashion and children’s illustrator and have long been interested in fashion and shoe design. To see this shoe design come to life has been amazing and exciting. It has only fueled more and more shoe ideas that I hope to bring to life and later set in my closet alongside my Merrilee Fluevogs.